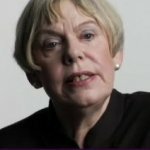 Some time ago I watched the acceptance speech of Karen Armstrong after she received her TED Prize. TED Prize winners are encouraged to make a 'prize wish', in which they detail their vision of how we can make our world a better place. 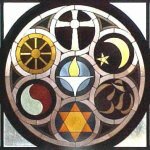 Karen's prize wish was to see the creation of a Charter for Compassion in which leading members of all the world's major religions come together to recognise the common threads which underlie all their faiths. Today I am very pleased to say that the creation of the Charter for Compassion is now well under way. Follow the link to visit the Charter for Compassion website. If you knew me well, you would be aware that I do not subscribe to any religion, yet Karen's message rings true for me too. In a world where fundamentalism, difference and conflict are on the rise, it is crucial that those of us who wish to promote acceptance and love of difference in the world take action to promote this. It is no good just sitting about tutting when the fearers and the haters are raising armies of destruction. To some the idea of compassion may seem a little dull or boring, something they cannot relate to in our fast-paced, exciting and very self-centred Western culture. The word raises images of Mother Theresa toiling tirelessly to help people in desperate need. Many people cannot relate to the apparently massive level of altruism that she displayed. But to me, this is something that raises a burningng passion inside me, not unlike that displayed by Bob Geldof during Live Aid. It is not at all unselfish. My single overriding motivation is the protection of my daughters. I want them to grow up in a world where love is in the ascendancy. This is by no means certain in a volatile world in which resources are running out. We face a stark choice, between cooperation with our fellow humans to find new ways to sustain the species or bitter violent struggle over the dwindling resources we use now. There cannot be the cooperation without an understanding that we are all one. People need to stop thinking about stupid petty divisions such as nationality or religion, otherwise there will soon be no nationalities or religions because everyone will be dead. Every one of us has to stand up and be counted. Stand up and say 'I choose love.' Then to do something. Whatever feels natural. To foster love and friendship with other members of our species. To show small minded people that there is another way, a better way. The only way in which we can survive. Of course, not everyone can live a life of service like Mother Theresa. Not everyone has the influence of Bob Geldof or Bono. But we can all do something every day to help make it a better world. We can all choose to smile, to accept, to show kindness to the people we meet in everyday life. When we do this, there is a knock on effect. Those people who we touch are more likely to act in a positive, loving manner to the people that they meet. In that way, one smile or one compliment can create a wave of happiness that spreads across a nation. Likewise, a frown or an unkind word can do the same. Are you taking responsibility for the way you are treating the people you meet every day? Improving the lot of others does not have to mean giving away all your money or giving up your job to work in Africa. If we all committed to simple gestures of loving kindness on a daily basis, the world would be transformed and the fear which might otherwise lead us towards self-destruction can be relieved for good.